Monster Hunter World tested: four consoles, eight games modes - but which is best? Enhanced consoles deliver better visuals and improved performance. 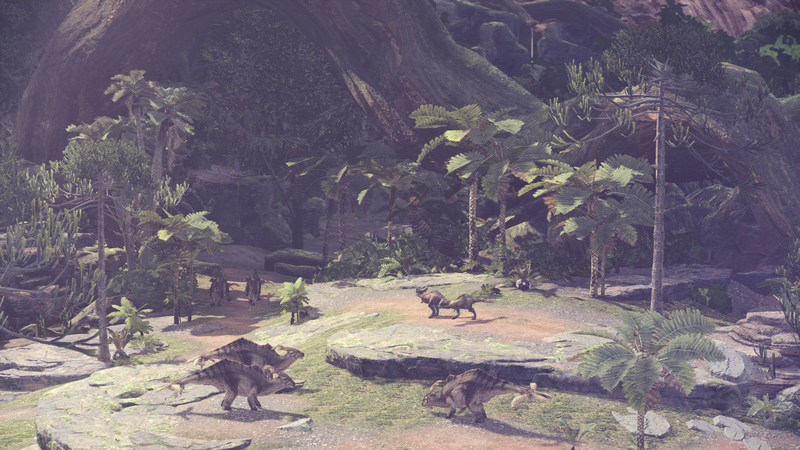 For a generation-spanning franchise that has enjoyed success on PlayStation 2, PSP, 3DS, Wii and Wii U, it's surprising just how long Monster Hunter has taken to arrive on the current wave of consoles. 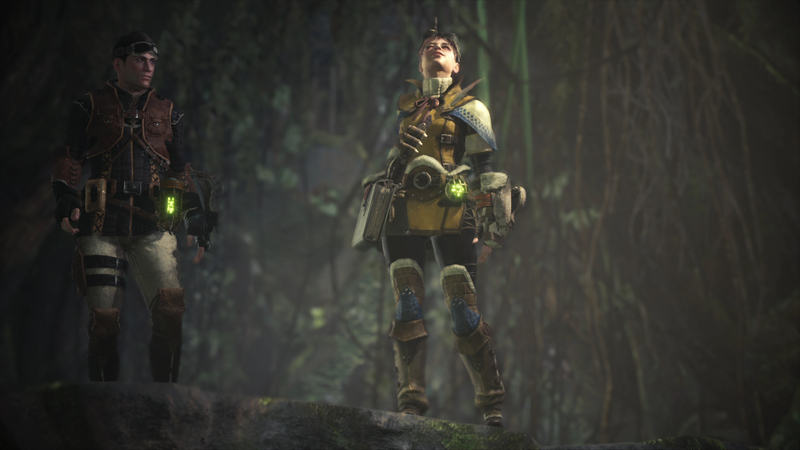 Designed from the ground up to leverage the power of PlayStation and Xbox, the recently released Monster Hunter World promises ambitious changes to the formula, rolling out new technology in the process - so just how successful is the final result? 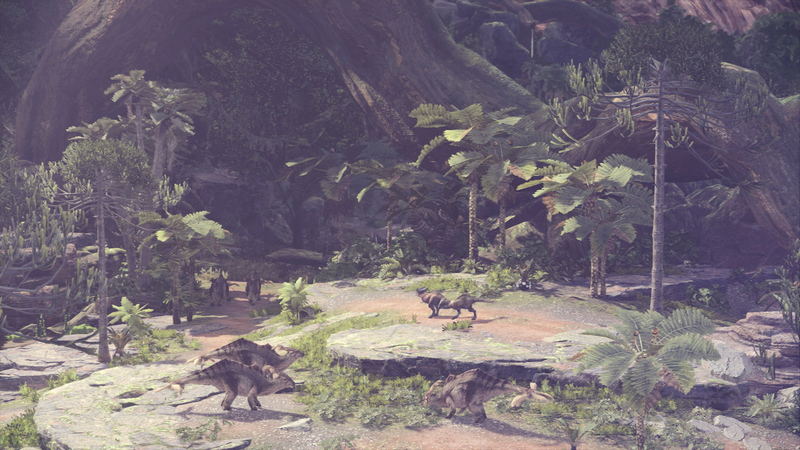 At its core, Monster Hunter World makes use of Capcom's proprietary MT Framework engine, which has a history of supporting large environments and richly detailed creatures, as seen in visually arresting titles such as Lost Planet 2 and Dragon's Dogma. 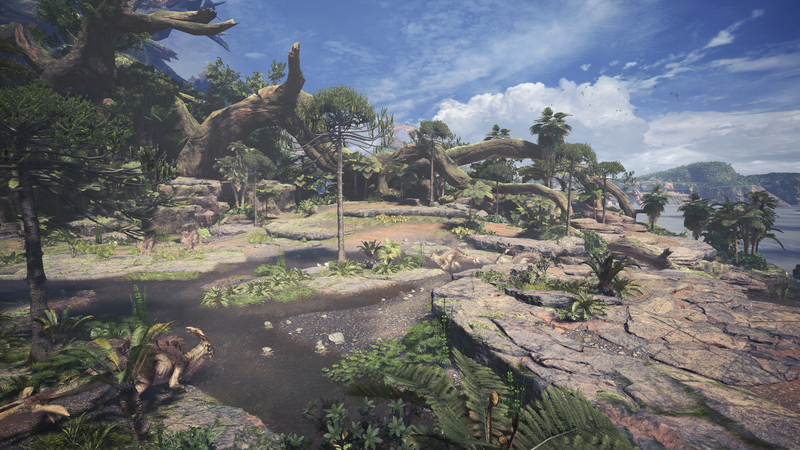 Compared to previous installments in the series, MHW is no longer split up into smaller zones, enabling seamless exploration of the world alongside more active hunts. On top of that, monsters can no longer run between loading points - the thrill of the chase is wide open and seamless. What's interesting here is that you can fast travel to any camp in the world instantly, suggesting that each major environment might be fully loaded into RAM rather than relying on streaming. This massive new world is now filled with detail previously impossible on less powerful hardware. Texture work is sharp and clean with generous layers of stone, sand and mud across the terrain. The extra memory available on modern consoles enables a level of fine detail that offers a night and day improvement over the last 3DS title. It may not be cutting edge compared to the latest and greatest open world games (just as an example - reflections on water surfaces are basic approximations at best), but it looks great and is a significant upgrade over any prior title in the series. Over the course of the game, players explore a variety of unique locales with their own biomes. 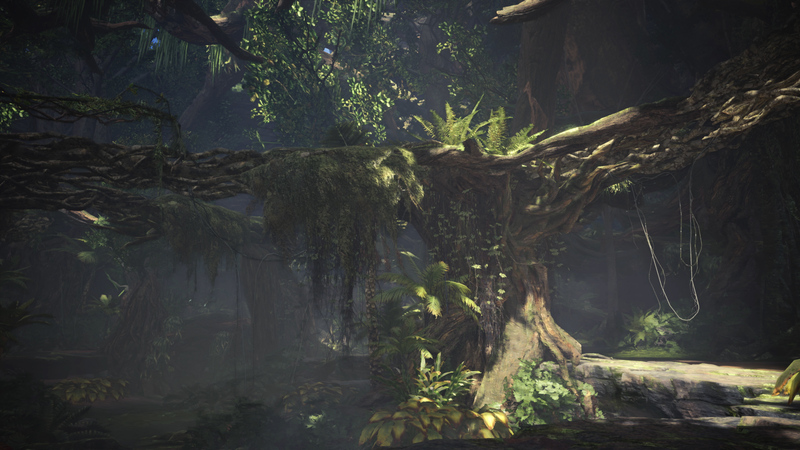 The first area, for instance, is rich in detailed foliage that blows in the wind and spills out over your path. Some of it is interactive, other patches of foliage have no collision, but the overall look is still excellent, while the overall sense of scale offered by the game's extensive vistas is revelatory. This is tied together in Astera - the base camp for all hunters. Recalling the designs of Monster Hunter Tri on Wii and Wii U, this area takes things further with towering structures, twisting staircases and clutter packed into every corner. Characters and monsters alike also play a significant role in the presentation. Human characters are detailed, expressive and well-shaded. These finely crafted meshes lend new life to the presentation that is much appreciated. 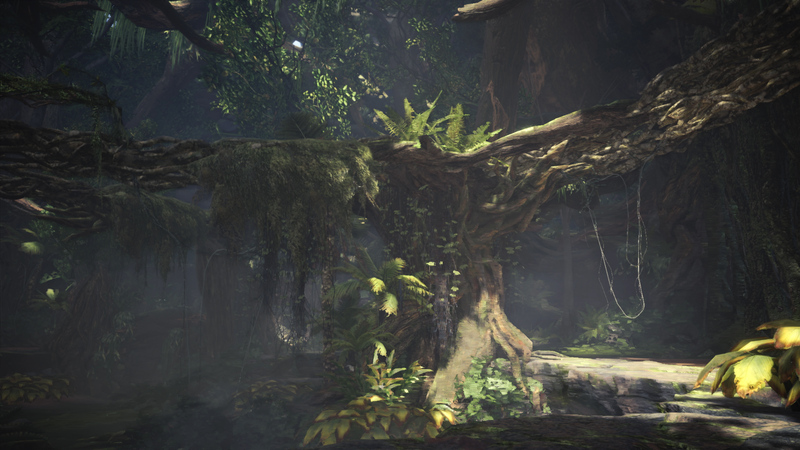 The cat-like companion Palicoes return this time as well with a gorgeous fur shader. However, the real stars of the show are the monsters themselves: huge, richly-detailed creatures slathered with high-resolution textures resolving finely crafted hides. Every console, every game mode tested - here's our complete analysis of Mnster Hunter World. This is elevated to the next level with generally excellent animation. While it may not blend as well as you might like, the overall look of the game in motion is top notch. Inverse kinematics calculations are also applied to characters, allowing models to more realistically connect to the environment during locomotion. That's not to say everything is quite perfect - clipping is visible with startling regularity. Knowing how the game plays, this is understandable, but swinging your sword from within a monster never looks quite right. Meanwhile, half-rate animation on distant enemies is noticeable, as is a relatively basic implementation of motion blur - a little disappointing bearing in mind that the MT Framework engine is clearly capable of much more based on what we've seen in prior Capcom releases. It's not a big issue, but more of a serious complaint is the lighting and gamma setup. 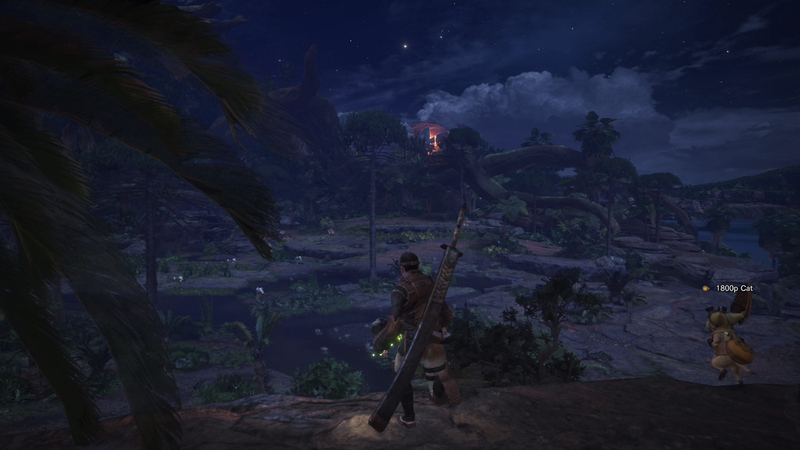 Not unlike some of the previous games, Monster Hunter World features overly bright, high intensity, washed-out lighting in many scenes - but even when it's dark, the use of contrast isn't what it could be. This results in a game that appears rather flat overall, an issue exacerbated by a mediocre HDR implementation which does little to solve the flatness of the presentation. 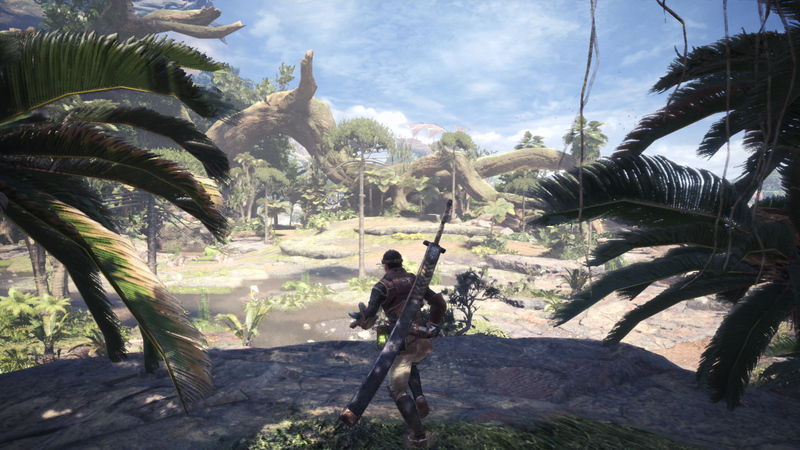 Overall, Monster Hunter World looks great but it is not without its flaws. The same overall feature set is in play on every console, but as you might expect, there are some profound differences in the implementations across Xbox One, X, PS4 and Pro. Based on our counts, the base consoles resolve 1080p and 864p on Sony and Microsoft hardware respectively - but there's more here than initially meets the eye, with some sort of reconstruction technique in play, reminiscent of Rainbow Six Siege, Quantum Break or even checkerboarding. When we looked at the PS4 beta, there were noticeable stippling artefacts in motion - something we've never seen on an MT Framework game before. The final game has adjusted the presentation, but there's still a clear loss of image quality in motion that's especially noticeable on lower resolution modes. Without additional technical detail from the developer, it's difficult to say exactly what we're seeing but the important point to take away from this is that you aren't getting the sharpness you'd expect from the pixel count. 1080p on PS4, for instance, looks much blurrier in motion than a typical 1080p title while 864p on Xbox One is clearly a further step down. However, clarity is fine when the image is static, again lending weight to some kind of temporal reconstruction technique. When using the high resolution mode, PS4 Pro exhibits additional distant detail that is curiously missing on Xbox One X. When using this mode, the X uses settings on par with the base Xbox One only at a much higher resolution. In static scenes, Pro offers a significantly cleaner image overall. 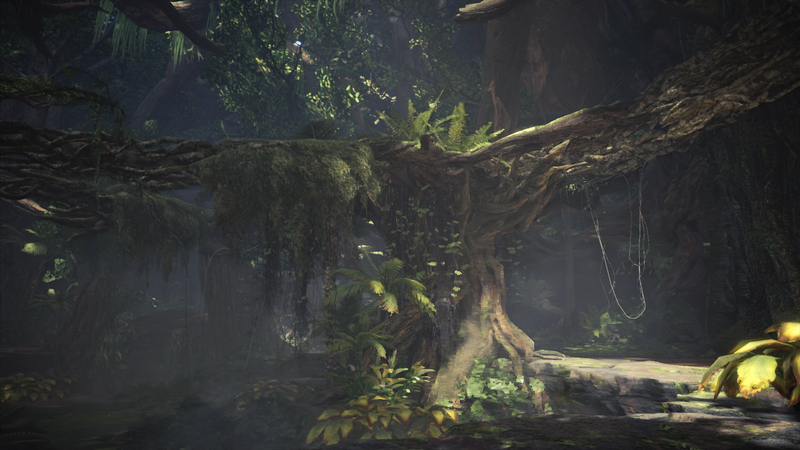 However, if you look closely at the vines and tree trunk area, the artefacts caused by checkerboard rendering on PS4 Pro become evident and image quality on Xbox One X noses ahead. Additional stippling is present on the Pro that does not occur on Xbox One X. Even in performance mode, the PS4 Pro version exhibits slightly more distant detail that is absent on the Xbox One X. The settings seem consistent with those used for the higher resolution options. Thankfully, when using the prioritise graphics option, the Pro and Xbox One X versions are visually on par with LODs pushed way out. The situation changes on the enhanced consoles, where Capcom offers three options to experiment with - a mode favouring resolution, another concentrating on improved graphics and finally, a performance option designed to push frame-rates higher. The resolution-specific mode is perhaps the most interesting and just like the beta, PS4 Pro produces an 1800p pixel count with telltale checkerboarding artefacts. Xbox One X, however, resolves at 1728p, a clear 4x boost to the base hardware's 864p, with the same reconstruction-style artefacts seen on base hardware. It's a fascinating presentation overall, as despite the slightly lower pixel-count, Xbox One X resolves more clarity overall while in motion. 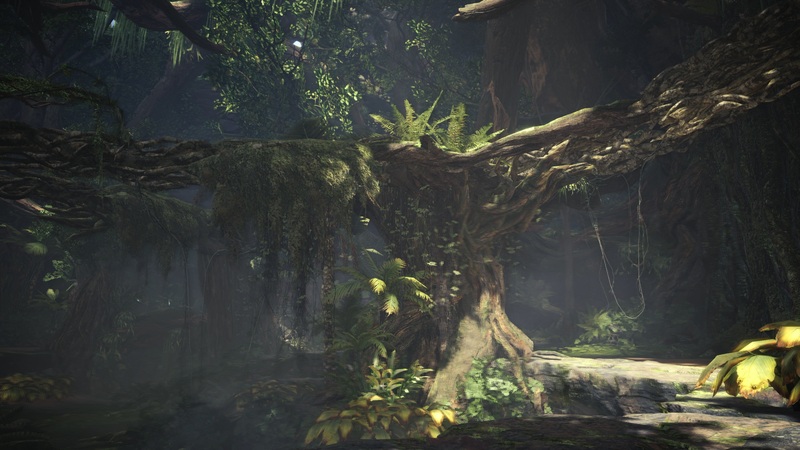 While the Microsoft console offers a cleaner look, PS4 Pro has an advantage of its own in this mode: additional detail mostly resolved in the form of more distant foliage, and a crisper image in static scenes. The graphics and performance modes drop to 1080p resolution on both enhanced consoles, exhibiting the reconstruction-style artefacts we noted on the base machines. Prioritising performance pulls back detail significantly, and frame-rates push higher. Curiously, just like the resolution mode, PS4 Pro still manages to push out additional distance detail compared to the X, mostly based on foliage draw distance. The situation adjusts with the graphics-focused preset, which restores parity between Pro and X in all areas we tested. One thing worth mentioning here is that when switching between the resolution mode and the other two options, you're required to restart the game but when swapping between the graphics and performance options, you can toggle it at any time in real-time, which is useful for more immediate comparisons. 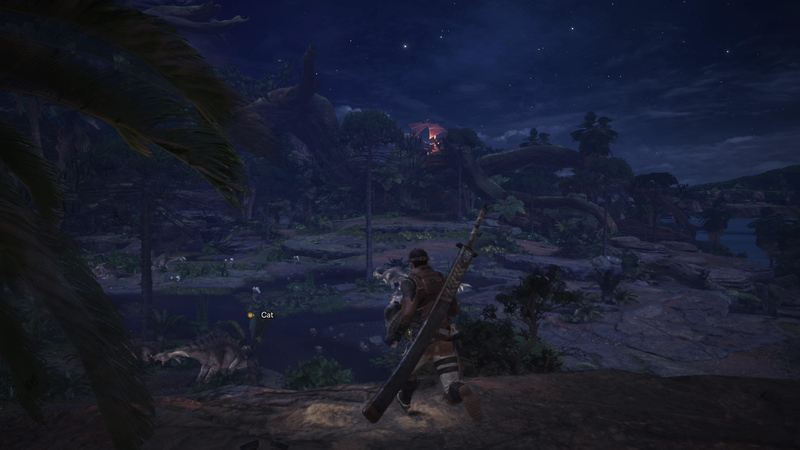 Inevitably, the three modes have a varying level of impact on performance - but from our perspective, it's a little disappointing to note that it's impossible to play Monster Hunter World at a locked 30fps when the software is clearly capable of doing so on the enhanced consoles. 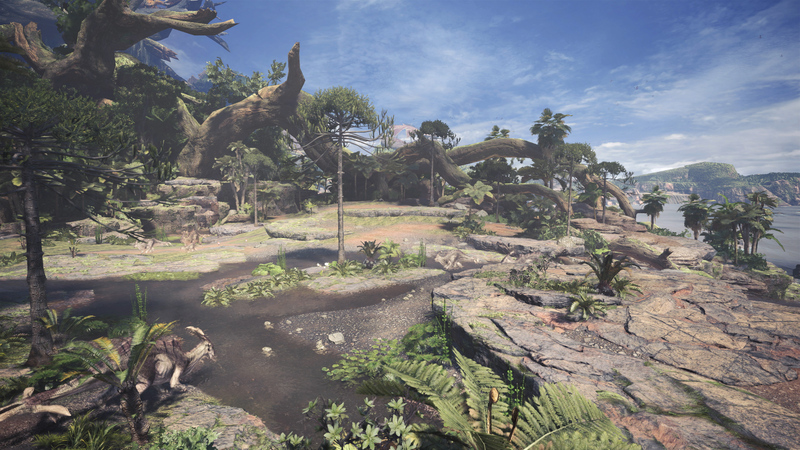 We understand that some people prefer unlocked frame-rates and that's fine, but adding a frame-rate lock option with even frame-pacing offers a consistency in the experience that benefits most games, and it's definitely missed on Monster Hunter World. As things stand, frame-times are all over the place creating a jerky experience across every single version of the game. With the base console releases, PS4 hands in an experience mostly the same as the public beta. The average frame-rate hangs right around 30fps but fluctuates above or below this number, and doesn't feel smooth in action. Xbox One stays below the 30fps threshold more often and has fewer spikes above that number. Between the lower resolution and performance, Xbox One users clearly receive the lesser experience here - though neither base console is optimal, which is surprising bearing in mind MT Framework's results in the past. The benefits of each visual mode are evident early on. When using Prioritise Graphics mode, for instance, additional foliage and detail is drawn into the distance. The Prioritise Resolution mode increases the pixel count significantly allowing for a much sharper presentation all around. 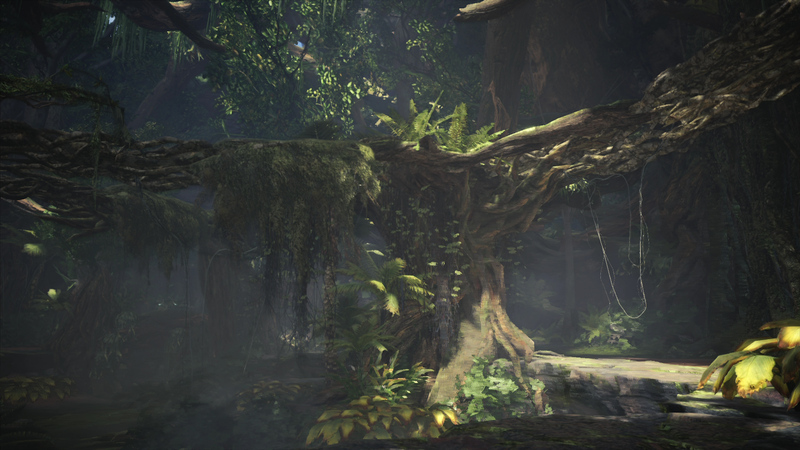 As in the first shot, the Graphics option greatly increases the draw distance of foliage. Using the same area as presented above, it's clear that checkerboard rendering artefacts are only present when using the Pro's high resolution option. All other modes seemingly make use of a form of reconstruction which introduces blurring and a loss in pixel resolution while in motion. The resolution of depth of field is tied to rendering resolution as in many other games which means lower resolutions exhibit a shallower effect compared to the 1800p mode. The good news is that both PS4 Pro and Xbox One X improve matters significantly, with higher average frame-rates across every mode - but that doesn't mean the results are optimal. High performance delivers a 1080p experience in the general area of 40fps, while Xbox One X - as you would expect - pushes higher, but not dramatically so. Those hoping for 60fps gameplay on either system should temper expectations, and what performance level you get varies significantly according to the environment you're playing in. Switching to the resolution priority mode, PS4 Pro hands in higher metrics than Xbox One X, but a wider distribution in frame-times seems to add further judder, to the point where Xbox One X feels slightly more fluid overall. Metrics stay north of 30fps across our testing, making the lack of a frame-rate cap - optional or otherwise - a missed opportunity. Regardless, this has become our preferred mode for playing both versions, due to the massively improved image quality and slightly more consistent frame-times. It is by no means smooth, but to our eyes, it's the best option of the bunch in terms of the overall experience. Finally, the graphics priority mode sees Xbox One X take point this time, with frame-rates that actually get close to the Pro's performance mode. In a way, this makes the graphics option a good choice for Xbox One X players willing to sacrifice resolution and image quality. The additional distant detail is a nice addition and the frame-rate is high enough overall. The Pro, however, sits too close to the performance offered by the resolution mode, and for our money, the 1800p output is clearly the better option. Overall, Monster Hunter World is a fascinating release when viewed from a technical standpoint: excellent in many respects, but just a little rough around the edges. 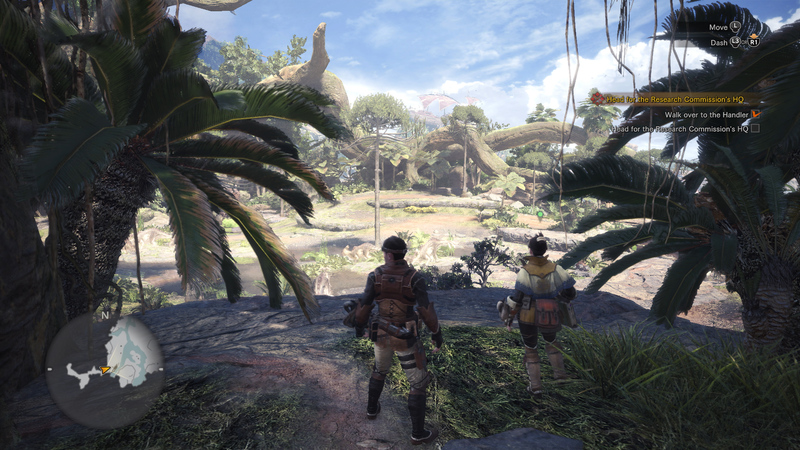 The move to the current-gen machines has its plus and minus points: this is well-crafted game with visuals that offer a truly generational leap over anything the franchise has delivered in the past, and there's no denying that this is a handsome game - especially when rendered in the Pro and X's high resolution modes. Either of these offer the best way to play in our opinion, but we're still some way short of what could be the definitive experience. While the inconsistent performance is entirely in line with prior games in the series, it sits uncomfortably compared to other PlayStation and Xbox titles out there. 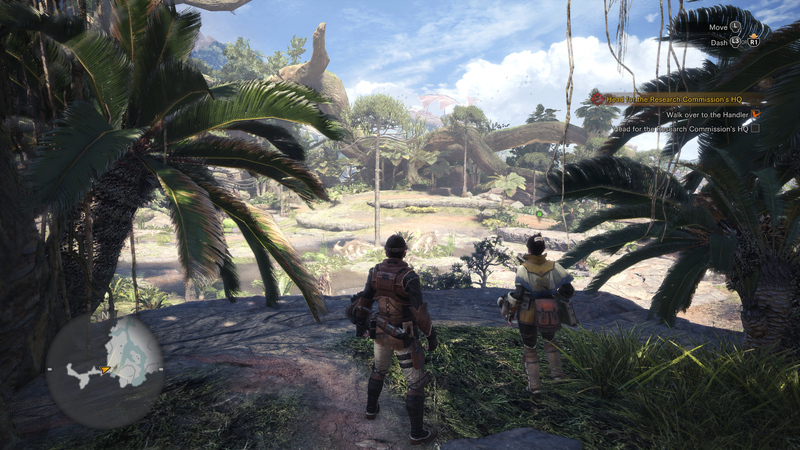 Technical polish is only one aspect of the Monster Hunter experience though, and obviously the game has sold well and captured the imagination of both franchise veterans and newcomers to the series - and of course, that Eurogamer Essential accolade didn't come out of nowhere. Addressing the polish issues we've highlighted shouldn't be difficult, and we have our fingers crossed that the frame-rate lock option at least will make its way to the consoles in a future update. And based on what we've seen here, the PC version of the game due later in the year could and should be something very special. Dragon's breath of the wild. Here's when to farm, what to forage and things you should do between hunts. How to take down Final Fantasy's Behemoth in Monster Hunter World. 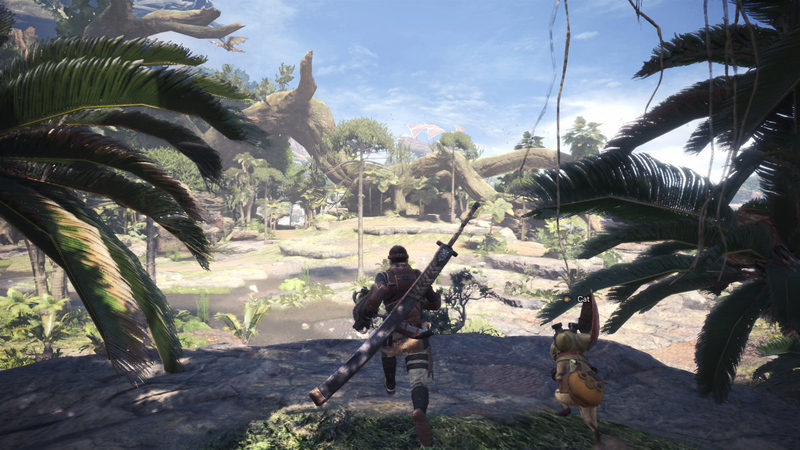 The various methods and mechanics behind mounting in Monster Hunter World.